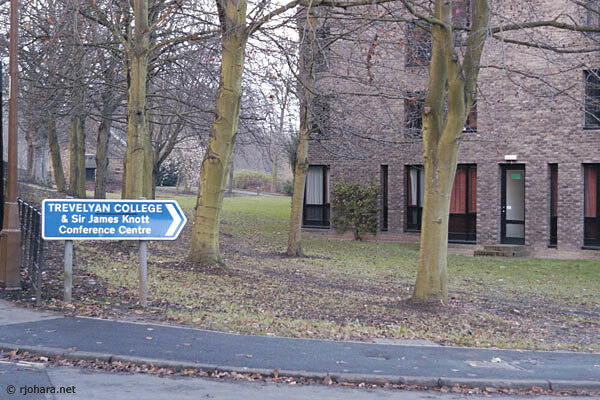 Trevelyan College at the University of Durham was founded in 1966 as a college for women, and since 1990 it has admitted members of both sexes. The college occupies a set of architecturally distinctive buildings on a five-acre site on Elvet Hill. These informal photos of the Durham residential colleges were taken by Robert J. O’Hara during a speaking visit to Durham. For more information about the residential colleges please visit the main Collegiate Way page. The main entrance to Trevelyan College and Trevelyan's James Knott Conference Centre along Elvet Hill, Durham. 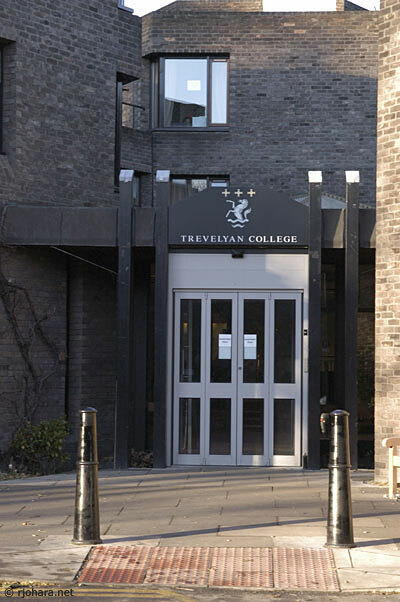 The main entrance doors of Trevelyan College at the University of Durham. 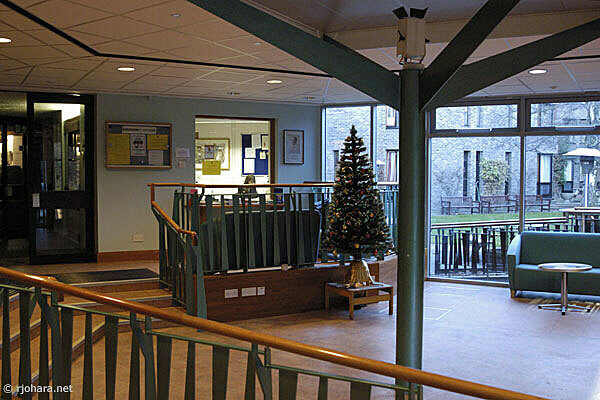 The Trevelyan College reception area just inside the main entrance. 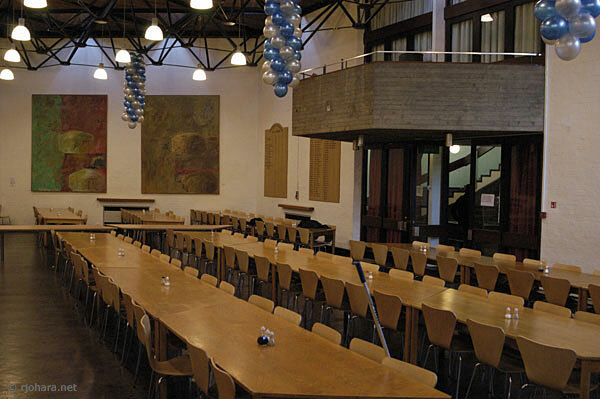 The Trevelyan College dining hall between meals in the mid-afternoon. The serving area is out of view to the left. The balcony is used for musical performances during dinner. 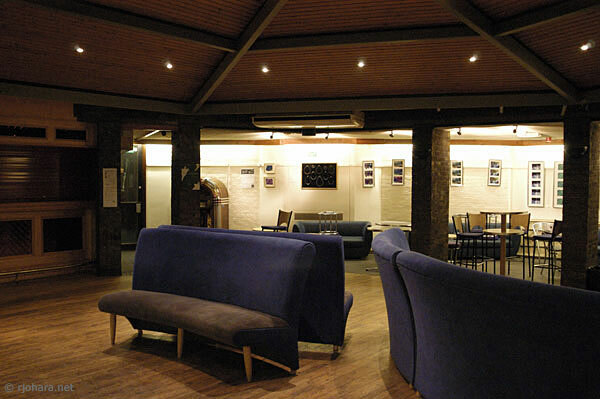 The Trevelyan College Junior Common Room and bar. One of the Trevelyan College courtyards at the University of Durham. 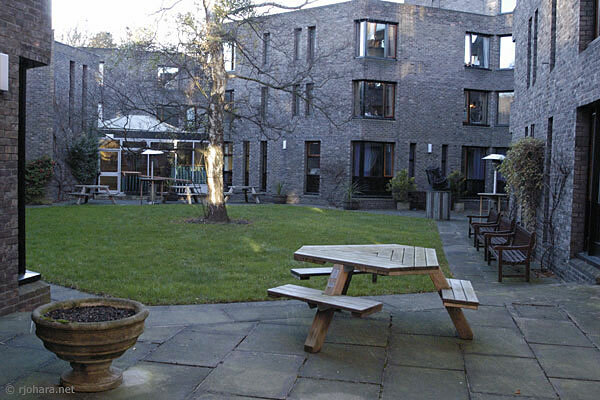 The Trevelyan buildings are all designed on a hexagonal plan, which extends to the shape of the courtyards and the picnic tables within them.